This is an easy inno setup script code for adding aero glass transparency in the bottom parts of inno setup wizard pages (instead of the plain grey colour). 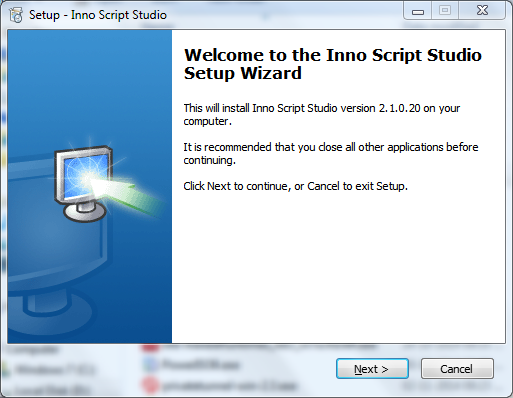 Do you want all your inno setup wizard pages to look like this: ? Dont forget to add the file iswin7.dll in your setup (as given above), else it will not work. TIP: Don't use the above code in Windows 8 & 10, because if there is no aero glass effect, then the transparent portion looks solid-coloured & ugly.